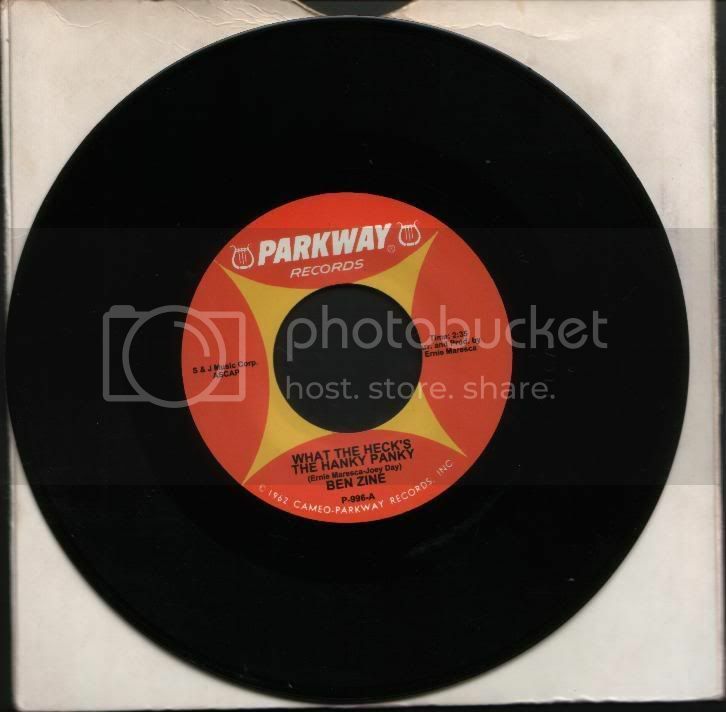 Info Needed On 2 Records Please? Anyway have got 2 records im putting for sale with the rest! Scan below of the single i have! plus it says U.K 13? ??? Mine is on U.K American Records on the top of label but below the A it says Made in England then under that USA 13 ??? the is like embedded/moulded in it if that helps! Now ive heard a rumour that Its in John Manships book @ £200!!!! So can someone please confirm if it is a boot or how to tell or if real how to tell? Scan of my record below! First one I'd sell for £5 on that label. Probably priced £15 elsewhere. Second one is a bootleg from around 2000. £6 to £10. Was a bootleg I did with Chris King. I designed the labels he pressed the vinyl. Same with a couple of others. Similar thing - none existent records like the Ben Zine issue. Not proud of it, but I won't deny it. Not proud,why mention it then?and what made ya`do it. Bit disapointing to hear that a respected luminary of the scene was involved in the practice. Or am i just being naive ? Have you heard the flip side? 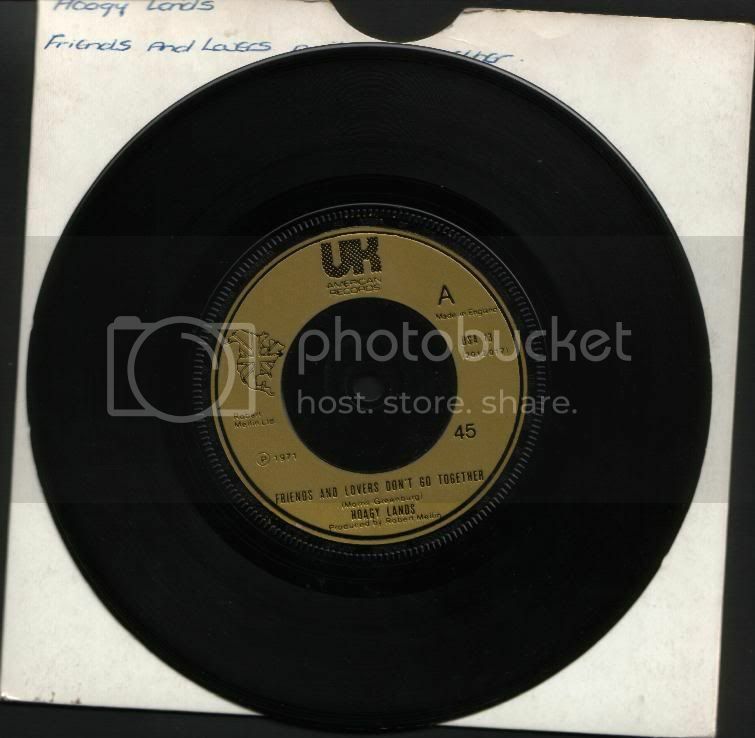 "True Love At Last" is a great beat ballad which wasn't issed in the US so they only way to get it is the UK 7". And it isn't as easy to find as you might expect. I've sold three mint copies and £70.00 was the typical price quite a few years ago. I think I posted an MP3 of it to soulsource in the past. If you need a copy, let me know. I mention it because nowadays I'm a different kind of person Ken. Why did I do it back then? Simple really - money! I have done many things in my life that ranged from a bit dodgy to exceptionally illegal. I have paid financially for some, and at times with my freedom for others, got away with much. I am, however, no longer paying with my immortal soul. In the final analysis that's all that matters to me. I am, to paraphrase The Rotations, a changed man. What a great thing religion is then...we can just write off everything we've ever done and say "we're different now" - huh - if only life was that simple! It is shocking, I agree. Shocking too that I never actually sold a single copy personally. They were all (and this was a fairly limited run of 200 or so) moved on by dealers who are pillars of the scene. Bootlegs wouldn't exist without the punters who want them and the dealers who willingly supply them. Not at all. You can't write it off, but God can. It can be forgiven. But there has to be a whole change in you the person. In effect you need to be born again. That's where the term comes from. I bet you'll be pleased when Ramadan is over, you must be starving. So you saying God is involved in bootlegging too then ? Good luck to you mate takes courage to change your ways whatever the reason. Me changing wasn't so much about courage as the opposite really. I just realised that forever is a long, long time. And I decided where I wanted to spend it.